Gwen Jorgensen and Javier Gomez were crowned 2014 ITU WTS Grand Final in Edmonton Canada. Going into Edmonton Jorgensen had an almost unassailable series lead over second place Sarah Groff and third place Jodie Stimpson. Jorgensen took her fifth straight ITU WTS win showing her complete dominance over the season. But Jorgensen (2:00:05) did not have it all her own way as she had strong competition from the New Zealand duo, Andrea Hewitt (2:00:21) and Nicky Samuels (2:00:31) who both performed well in Stockholm and were to do the same here placing second and third respectively. The Edmonton course was the full Olympic distance event of 1,500m swim (2 x 750m laps) , 43.2km bike (2 large loops & (4 small loops) and 10km run (4 x 2.5km laps). The run phase is undoubtedly Jorgensen’s strength over the rest of the field and boy did she do well. She posted a 33:24 over the 10k a full minute faster than anyone else in the pack. With speed like that and a strong swim and bike (dropped a minute here in Edmonton this time so played catch up on the run) where there are really only a few seconds difference to the pack she is far and away the real deal and a worthy champion. Stand out performances from Hewitt, Samuels and Groff (who fought hard to take fourth place) meant that Stimpson was demoted to fourth place in the overall series. 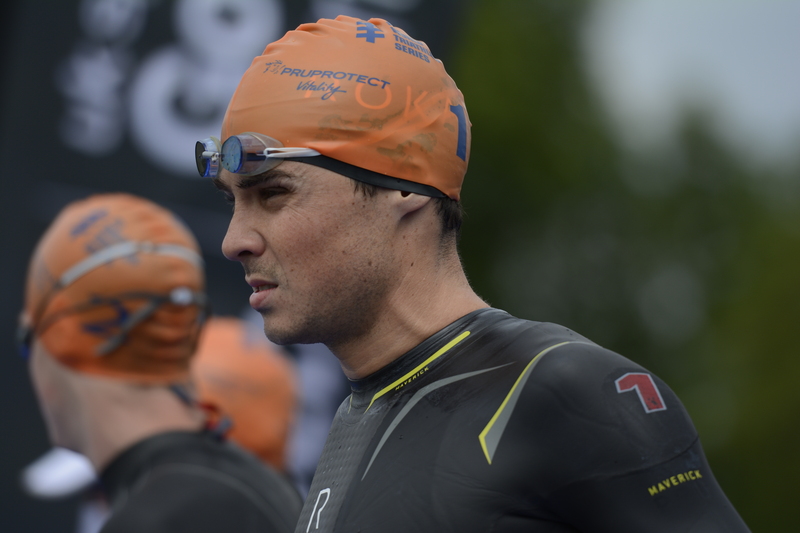 The race in Edmonton was all about Alistair Brownlee taking out the win for his second podium top spot of 2014 and Javier Gomez securing the 2014 ITU WTS championship for the fourth time. After Javier Gomez DNF’d at Stockholm there was a gap of 282 points between himself and Jonathan Brownlee. Gomez had to make sure he finished and stuck with Jonathan to be crowned champion. He did exactly that, letting Alistair breakaway on the bike in the final stages and sticking with Jonny and Mario Mola. With a minute made on the bike and a strong run leg Alistair finished with a winning margin of 20 seconds. Ultimately the minute he made on the bike was lost on the run and it basically boiled down to his super fast swim. 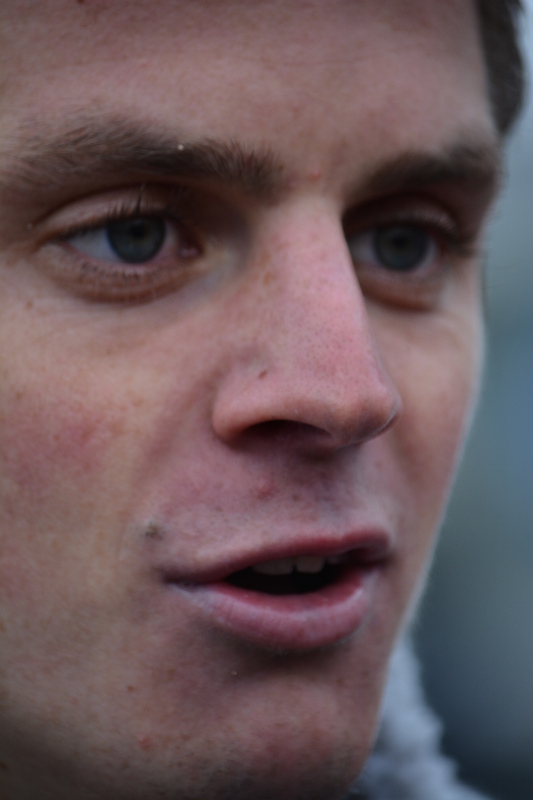 Jonny Brownlee was unable to keep up with Gomez and Mola’s run pace towards the end and came in fourth on the day and with that slipped to third overall on the rankings allowing Mola to grab second spot. What can be said about the 2014 men’s season? Well we have a deserved champion in Gomez but for me, besides the Brownlee brothers, there have been two really consistent stand out performers in Mario Mola and the ever improving Joao Periera. This entry was posted in TRIATHLON, Uncategorized and tagged Alistair Brownlee, Andrea Hewitt, Brownlee Brothers, Gwen Jorgensen, ITU World Triathlon, Javier Gomez, Joao Periera, Jodie Stimpson, Jonathan Brownlee, Mario Mola, Nicky Samuels, Sarah Groff on September 8, 2014 by Ian Campbell. ITU World Triathlon Series in Stockholm. Jonathan Brownlee (57:31) edged brother Alistair (57:37) in Stockholm with the German Gregor Buchholz taking third place (58:27) narrowly beating Spaniard Mario Mola (58:28). Series leader Javier Gomez did not finish pulling out before the run leg. This entry was posted in TRIATHLON, Uncategorized and tagged Alistair Brownlee, Brownlee Brothers, Gregor Buchholz, Javier Gomez, Jonathan Brownlee, Mario Mola on August 23, 2014 by Ian Campbell. This coming weekend is the ITU World Triathlon from Stockholm on Saturday August 23rd over a sprint distance, one week ahead of the Grand Final in Edmonton Canada. (Start details below). Confirmed on the start list are all the leading men in the field. The Spaniards Javier Gomez & Mario Mola, Brit Jonathan Brownlee and South African Richard Murray. Alistair Brownlee who has been in recent top form, but not earlier on this year, will be looking to dislodge some of the top contenders. Who will take the Stockholm crown and lead the way into Edmonton one week later? Gwen Jorgensen (planned skip to concentrate on Edmonton) and Helen Jenkins (torn plantar fascia and now back in training on the bike) are not on the start list for Stockholm. Jodie Stimpson (Commonwealth Games Winner) has a golden opportunity to grab some points and and get closer to Jorgensen ahead of the Grand Final in Edmonton. But, she will have American Sarah Groff and the Canadian Kirsten Sweetland hot on her heels for that winners spot. Not only will those two be battling with Stimpson but Italian Alice Betto and New Zealander Andrea Hewitt will also be pushing for podium slots. Water temperature currently 21C. If over 22C on race day then it will be a non wetsuit race. This entry was posted in TRIATHLON, Uncategorized and tagged Alice Betto, Alistair Brownlee, Gwen Jorgensen, Helen Jenkins, ITU World Triathlon, Javier Gomez, Jodie Stimpson, Jonathan Brownlee, Mario Mola, Sarah Groff on August 19, 2014 by Ian Campbell. 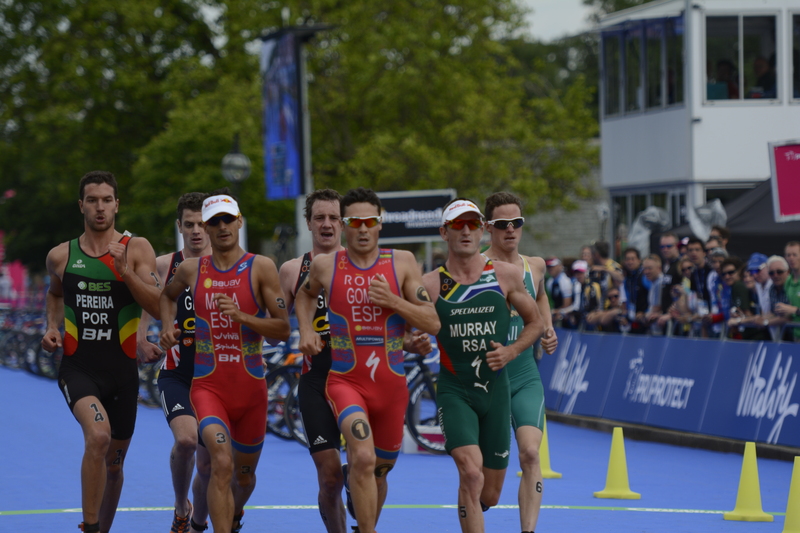 The culmination of the 2014 ITU World Triathlon Series is shortly upon us in a frantic week of action. The seventh round of the ITU World Triathlon Series is in Stockholm, Sweden on August 23rd and one week after the circus moves to Edmonton, Canada for the Grand Final on August 30th. The next round in the ITU World Triathlon Series is another Sprint event, (750m swim, 20km bike and 5km run) with the Grand Final in Edmonton being an Olympic type event with a 1,500m swim followed by 43.2km bike and 10km run. The bike features a tough grade 5 climb that the triathletes will have to do twice in the early two laps before heading out for four smaller loop laps. Then its 4 laps of a 2.5km run course and the champion of 2014 will be decided. After six rounds, Auckland, Capetown, Yokohama, London, Chicago & Hamburg the top ten leader boards for the women and men look like this. 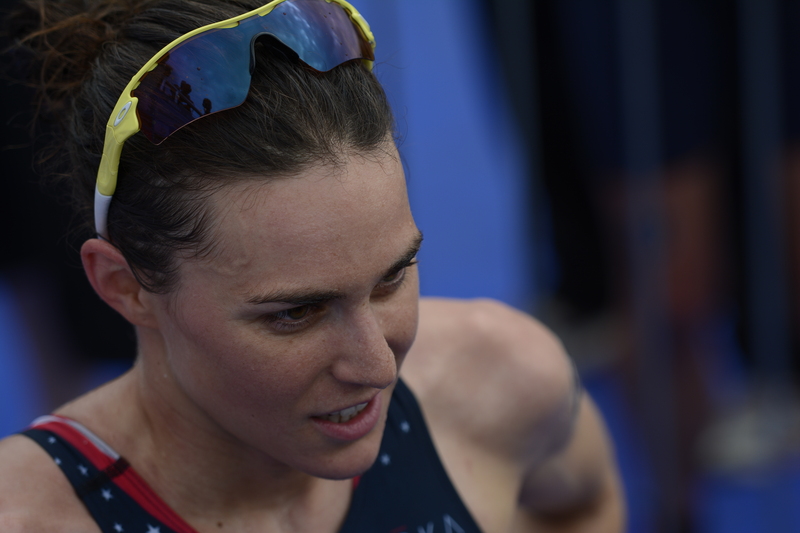 The American Gwen Jorgensen has momentum on her side having won the last four consecutive World Triathlon Series races, the first person to do so in the same season. Jorgensen has a 903 points lead over second place UK triathlete Jodie Stimpson. With 800 points up for grabs in Stockholm and 1,200 at the Grand Final its still open if Jorgensen fails to finish in either one. It’s Jorgensen’s to lose but who would bet on that!! With a gap of 496 points between Javier Gomez and Jonathan Brownlee and Mario Mola lurking only 15 points behind its less of a slam dunk for Gomez. With recent strong performances by Brownlee and Mola nothing is certain for Gomez, he needs to win to be crowned champion yet again. 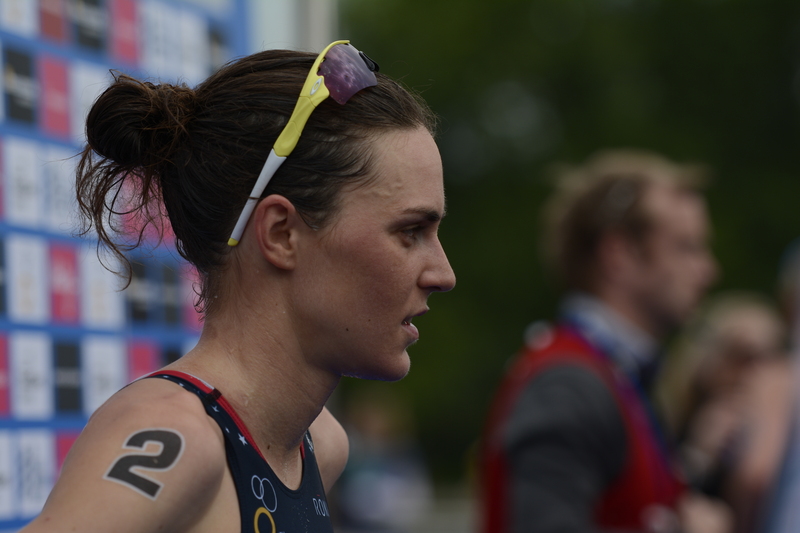 This entry was posted in TRIATHLON, Uncategorized and tagged Brownlee Brothers, Gwen Jorgensen, Helen Jenkins, ITU World Triathlon, Javier Gomez, Jodie Stimpson, Jonathan Brownlee, Mario Mola on August 14, 2014 by Ian Campbell. After 4 rounds of the ITU World Triathlon series the competition is really hotting up. Javier Gomez, Jonathan Brownlee and Mario Mola retain their top three positions in the same order although Mola closes the gap on Brownlee with his win in London. Aaron Royle drops 2 places with South African Richard Murray and Ryan Bailie climbing to 4th and 5th respectively. Other movers being Joao Pereira and Alistair Brownlee who both climbed 6 places. Its looking more and more like a four person contest but anything can happen so can’t wait for the next round in Chicago on June 27-29th. 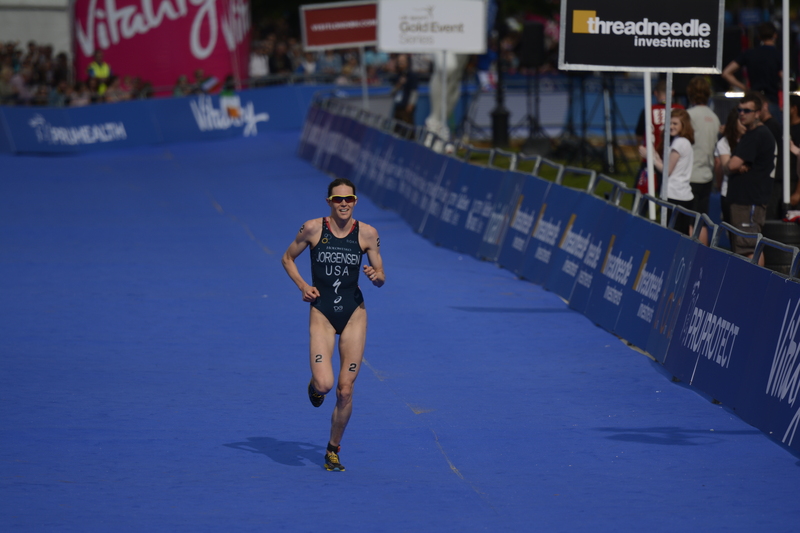 Gwen Jorgensen’s outstanding win in London and Jodie Stimpson’s less than expected effort means that they swapped 1st and 2nd places in the overall standings. They have two wins a piece thus far. Sarah Groff’s second place means she climbed 4 places to 3rd. Helen Jenkins remains in contention with that phenomenal run leg to give her 7th place and 4th in the standings. The Australian Emma Jackson’s third place and Italian Alice Betto’s fourth place means they have moved up the rankings whilst Canadian Sarah-Anne Brault and the German Anne Haug slip down. There is still a long way to go so it still an open contest. This entry was posted in TRIATHLON, Uncategorized and tagged Aaron Harris, Aaron Royle, Alice Betto, Alistair Brownlee, Anne Haug, Brownlee Brothers, Emma Jackson, Emma Moffat, Gwen Jorgensen, Helen Jenkins, ITU World Triathlon, Javier Gomez, Joao Pereira, Jodie Stimpson, Jonathan Brownlee, Juri Ide, Mario Mola, Richard Murray, Sarah Groff, Sarah-Anne Brault, Vincent Luis on June 6, 2014 by Ian Campbell. What an amazing race, Mario Mola takes his maiden ITU World Triathlon win by 1 second beating the South African Richard Murray in a time of 49:46, 3rd place was the taken by the Portuguese triathlete Joao Pereira in 49:49. The London course was fast and furious and so was the racing. The top 5 guys were all under 50 minutes and who was not in that group, currently ITU world ranking leader and race favorite Javier Gomez who came in 6th in 50:00 dead. And who were 4th and 5th ?, the Brownlee brothers Alistair in 49:52 and Jonny 49:58 just pipping Gomez to the line. Javier Gomez who had won the last three ITU events, Auckland, Cape Town and Yokohama never looked settled in this race. The top six finishers were well packed after the second transition and into the run. 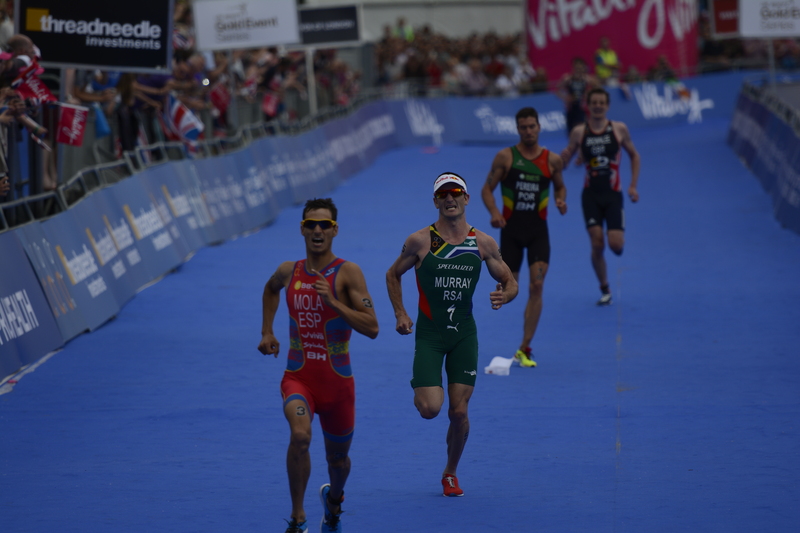 The Brownlee brothers set a blistering pace from the onset, but could not breakaway and were hounded by eventual winner Mola, Murray who looked very strong and Pereira who ran a very strong leg. Alistair hung on to the finishing straight but couldn’t keep up with the final kick from Mola, Murray and Pereira. Mola, with his visor flying off in the last ten metres, surged to the line to beat a solid Murray. Splits times for the top 6 show you how fast these guys were traveling. Gwen Jorgensen stormed to an outright win with a blisteringly fast run of 16:10 to take the ITU World Triathlon in London Hyde Park. Her time of 54:44 was 28 seconds ahead of her American compatriot Sarah Groff. The Australian Emma Jackson had the second fastest run of the day enabling her to reclaim some positions during the run phase and take third place with 55:19. From the swim Jorgensen was in the lead pack, stayed in the pack for the bike and just ran away with it on the run section. If anyone was going to beat her they had to do it before the run. Nobody could break her today! ITU World series leader Jodie Stimpson stumbled today (was this due to the foot injury she picked up in Yokohama two weeks ago? ), her swim time was off the pace by about 25 seconds and the run 43 seconds off Jorgensen. In these sprint distance events you cannot afford to give that much time away. Stimpson came in 11th and will be second to Jorgensen in the series lead going into Chicago. Helen Jenkins had a fantastic run (16:40) to make up several places and finish in 7th in an overall time of 55:39. If 4th placed Italian Alice Betto could improve on her run time she would have been challenging for 1st place, her swim time was one of the best out there and she is no slouch on the bike either. Keep an eye on her! 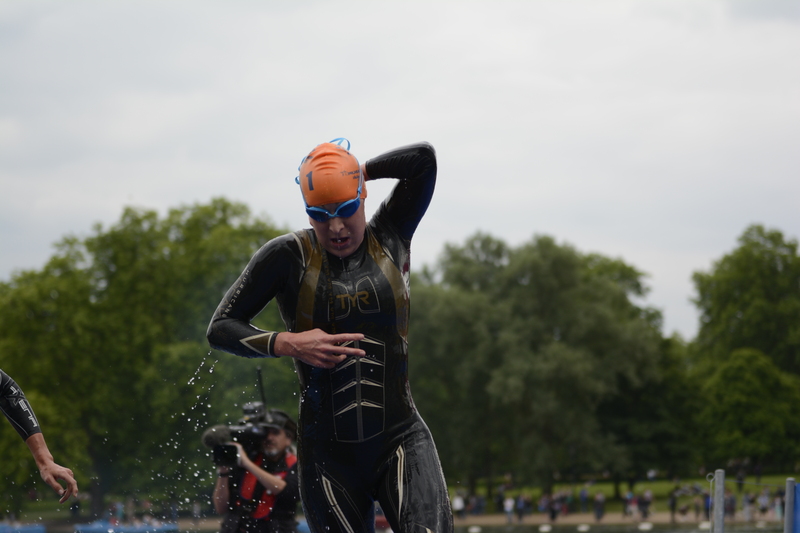 This entry was posted in TRIATHLON, Uncategorized and tagged Alistair Brownlee, Brownlee Brothers, Gwen Jorgensen, Helen Jenkins, ITU World Triathlon, Javier Gomez, Jodie Stimpson, Jonathan Brownlee, Mario Mola, PruHealth World Triathlon London on June 2, 2014 by Ian Campbell. 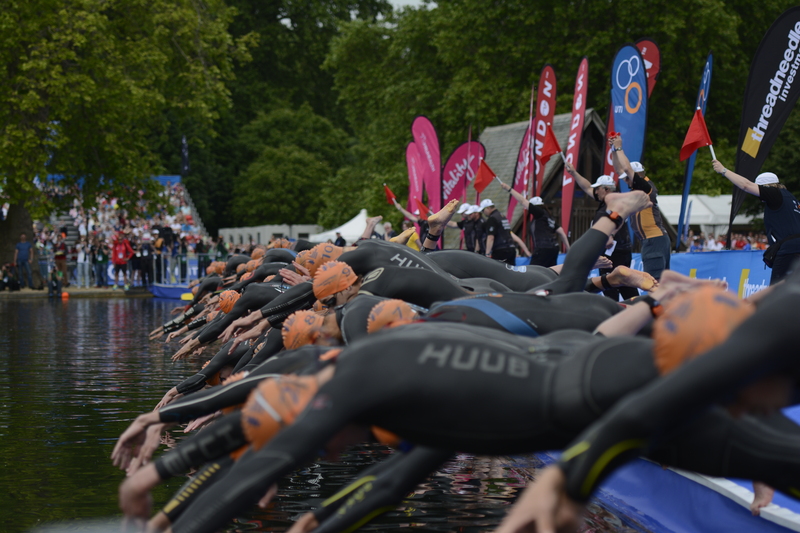 The ITU World Triathlon comes to London this weekend at Hyde Park. This is the same venue as the 2012 Olympics and last years successful finale of the ITU World Triathlon where Javier Gomez snatched victory from the Brownlee brothers to take the world crown. The womens race will be just as exciting for British fans as current series leader Jodie Stimpson and a healthy Helen Jenkins both battle it out for top honours but will have serious work to do against a strong field that includes Gwen Jorgensen, Anne Haug and Sarah-Anne Brault. Not only do we have the Elite Men on Saturday but also the Elite Women. 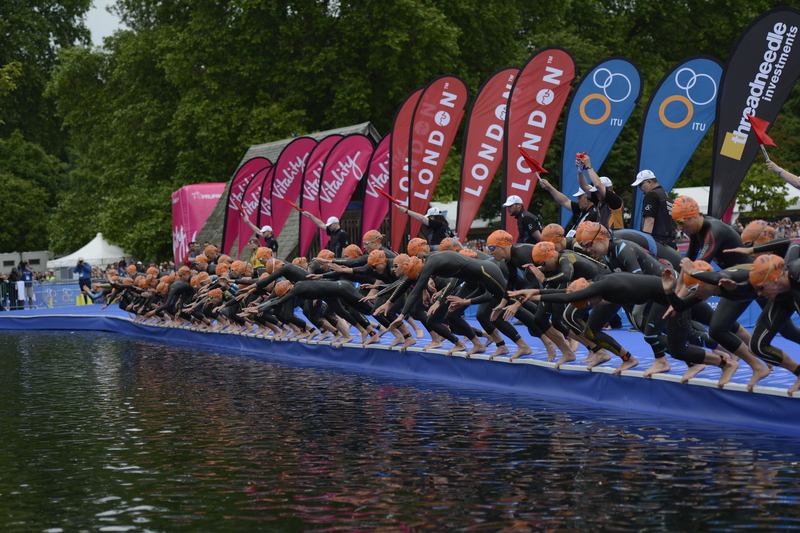 The London event will be contested over the Sprint distance format, 750m swim, 20km Bike and 5km Run. Its going to be fast and furious racing and the top contenders will need to be in touch with each other at each transition as there will be no opportunity to catch up, especially when you have such class operators leading the field, there will be no respite. I will be there to capture the event as it unfolds. Here are some of the ones to watch this Saturday. This entry was posted in TRIATHLON, Uncategorized and tagged Aaron Royle, Alistair Brownlee, Anne Haug, Brownlee Brothers, Gwen Jorgensen, Helen Jenkins, ITU World Triathlon, Javier Gomez, Jodie Stimpson, Jonathan Brownlee, Mario Mola, PruHealth World Triathlon London, Sarah-Anne Brault on May 30, 2014 by Ian Campbell.